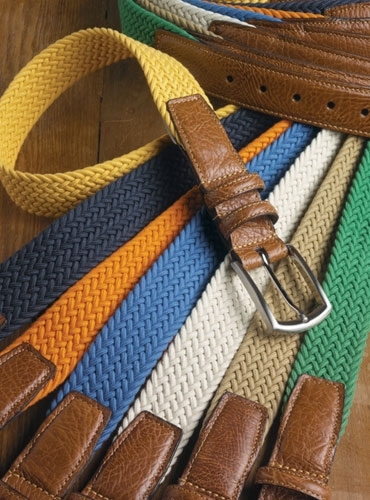 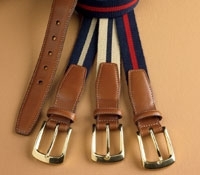 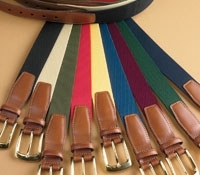 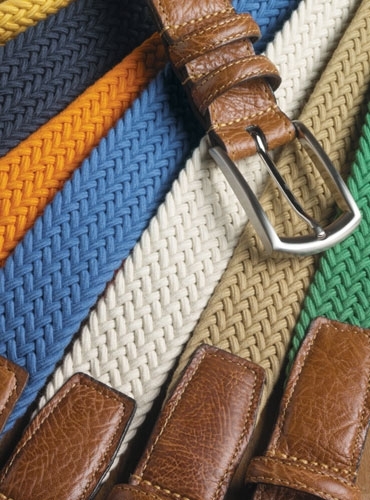 Braided cotton stretch belts with leather tabs and nickel plated brass buckles. 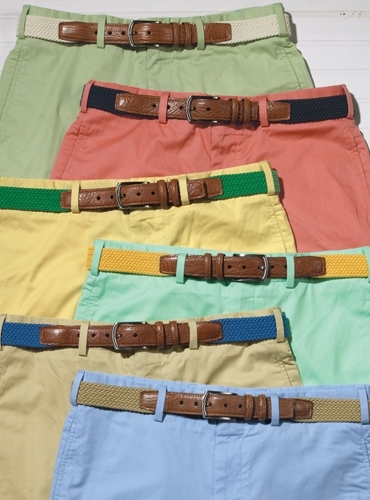 Shown from left to right: A-green; B-camel; G-bone; F-royal; C-orange; D-navy; E-custard. 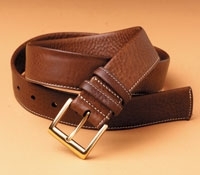 Available in sizes 32–46.